Often, social media keeps us away from the tasks we should be doing, or is a nice break from the workday. In an emergency, it can be the difference between life and death for those directly affected. Information travels even faster among the social media infused Internet super highway. Let's look at a roundup of how social media helped in the emergency situation of the Boston Marathon bombings. Although getting emergency information out to the public isn't a new idea, the mediums of social media are new; and changing almost daily. AUTHORITATIVE- Increasingly, police departments, cities, and other authoritative entities have active and well-maintained Twitter feeds. Participating in the social media sphere is no longer viewed as a nicety or extravagance--it's part of the job. In addition, an authoritative Twitter feed (denoted with a blue check mark next to the profile picture) lets the audience know it is a trusted source of information. NEW MEDIUMS - Twitter released Vine in January of this year. Keeping to its mission (brevity as a virtue) Vine videos are a short six seconds. In the aftermath of the Boston bombings, one user's Vine feed (recorded from his television) showed the world the exact moment the first bomb when off at the finish line. This moment was then retweeted 111 times and featured in major news outlets. NEW TOOLS - Google Person Finder was created, "in response to the January 2010 Haiti earthquake in order to help those affected by the earthquake connect with their loved ones." The Google execs realized having multiple websites with multiple listings of people was too cumbersome. One central location would be ideal--so they set out to create it. Person Finder is launched in the event of an emergency and left online only as long as is prudent and necessary (keeping privacy in mind for all involved). Mentions of the word "Boston" increased 20,000% during the emergency situation and most Facebook feeds were filled with thoughts, prayers and reflections about the situation. People are leaning on social media as a critical way to get important information quickly and find solace in community. TWITTER - Twitter seems to be the natural place for up-to-the minute information in any situation. So, it seems a natural fit in an emergency as well. The police, city and newspapers leveraged their Twitter feeds to deliver frequent updates in the aftermath of the tragedy. 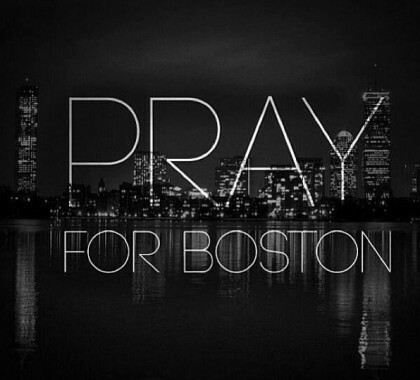 In addition, the hashtag #PrayForBoston trended for hours in the aftermath. In addition, police and city officials could instruct those still at the marathon of the areas that are sectioned off for crime scene investigation, where to find their belongings at the end of the race, and other important information. FACEBOOK - Facebook is where people go to find comfort and community. 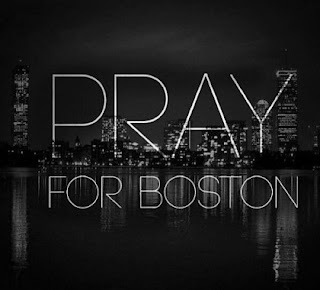 In the aftermath, many profiles posted "Praying for Boston" graphics of some sort. Many people updated their statuses there, but it was more of a place to inform the community of their support and less of a news source. In the days following, there are Facebook pages and communities people can turn to for support. One such page is called "Boston Marathon Bombing" where users can post tributes, prayers and photos. THE EVERYMAN JOURNALIST - Media/news outlets now look to average citizens and non-staffers to help them with pictures, video and updates about events. The Guardian is one such news outlet that looks for collateral from everyday people. Imagery of the tragedy is readily available anywhere online, in part, due to the fact that everyone with a phone, camera or tablet can help paint the picture of the news. Deadspin was the first to break the news of the bombing a short 13-minutes after it occurred. Its news article contained mostly information, photos and videos from various twitter feeds. Finally, there is a reddit feed that contains a compilation online news articles and mentions of the explosion. SOLVING THE CRIME - Police and media/news outlets are looking to shutter-happy cellphone users and social media gurus that may have images of the scene before, during and after. With almost every citizen armed with a cellphone, the photos, tips and movies that get sent in just might help solve this crime. It's hard to say where emergency response will be in the next few years, thanks to social media. With increasing numbers of people taking pictures and videos and tweeting and updating on the fly, critical information will be even more accessible in an emergency. In the event of an emergency, look to social media to pave the way. The Drum - "Boston Marathon crisis: How social media responded"
Social Heatmap of social media mentions containing "finish line"
Nextgov - "Social Media Aids First Responders and Grieving Public After Bombing"
Have you thought about venturing into social media but don't know how to begin? Or, are you knee-deep in social media but wondering if it's working? Here's a refresher to set your social media in 2013 off right! What are your goals for social media success? As with any off-line marketing effort you'll want to know what you're looking to achieve in order to call the social media campaign a "success". A great first goal is simply increased traffic to your website. Increasing time spent on your website per visitor, blog posts read and comments on them as well as increasing social media connections are all great markers to track. Then, decide how often you'll check in on these metrics. When any new campaign begins, it's easy to check in daily, even hourly to see how it's progressing. Increasing your brand's presence online is not something that is accomplished overnight. Have fun checking in on the statistics, but don't micro-manage. Quarterly is a great bet here. Decide which social media platforms you'd like to utilize. Do you know where your current customers hang out online? Or, is there a group of prospects you'd like to approach? If so, where can you find them online? 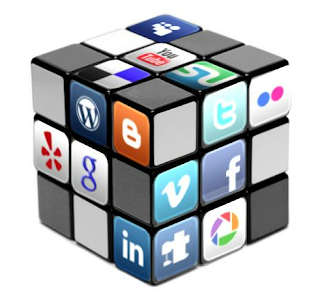 The answers to those questions will define the social media sites for you to spend the most time on. 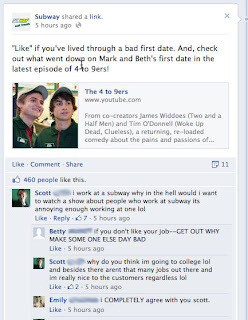 Make your brand as "personal" as you can- there are people that work there, right? If a social media website is new to you, don't let that stop you. Allow your search engine to be your guide! Simply type in any question you have such as, "What size are profile pictures on Facebook?" or "What does # mean on Twitter?" There are many free resources out there to get you up and running in no time! Don't be afraid simply because something is new. We hope 2013 will be a social media success for you!